When investing in a newly built home for the family, it really pays to look at the long term costs—because most of us want the stability of living in the same home for many years. In terms of money, a solid, accurate construction process will save money on maintenance, heating and cooling. Then when it comes to happiness and peace in the home, a well planned home will be built to anticipate the changing needs of a growing family. 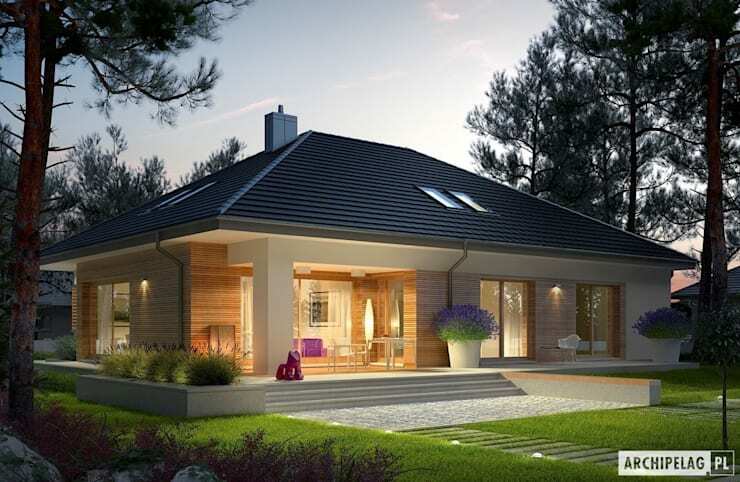 In all these regards, a good prefabricated home design like the one we will explore today is an excellent choice. It houses 3-4 people, has a great outdoor area and has been built with smart modern construction techniques and environmentally efficient design. It comes to us from Polish architects Archipelag who call it the Marcel G2. Let's have a look at the exterior in photos. The home has a classic L-shaped design that is hugely popular in many suburban areas. It is a classic family style design and exudes all the solidity and stability of the aesthetic. The house measures 129.80sqm and the garage adds another 33.53sqm. This configuration of the Marcel G2 design has wooden cladding on one side that adds some natural warmth. Most of the designs can be adapted to suit the individual preferences of the client. One hugely important part of any family home is a good outdoor area or terrace. It provides children with a chance to roam and gives everyone a break from the confines of indoor life. This terrace is also teamed with large floor to ceiling windows. These increase the sense of flow between the indoor and outdoor areas, further expanding the size of the living areas. The attic area lies within a roof with a 30 degree angle and covers nearly 63sqm. It could easily be adapted for rent or function as a separate living space for a member of the extended family. The skylights ensure the level receives lots of natural light and it enjoys a great deal of privacy. The beauty of prefabricated housing is that the components are prepared in a factory off-site and this allows for a very high level of accuracy during the manufacturing stage. The joins are perfect, the home is totally sealed and it enjoys an extremely high level of environmental efficiency. The ground floor houses four bedrooms, two bathrooms, a living area, boiler room, garage, kitchen, vestibule and even a walk in pantry. Both the living room and master bedroom also face the large terrace area so the home could easily feel much larger than it actually is too. 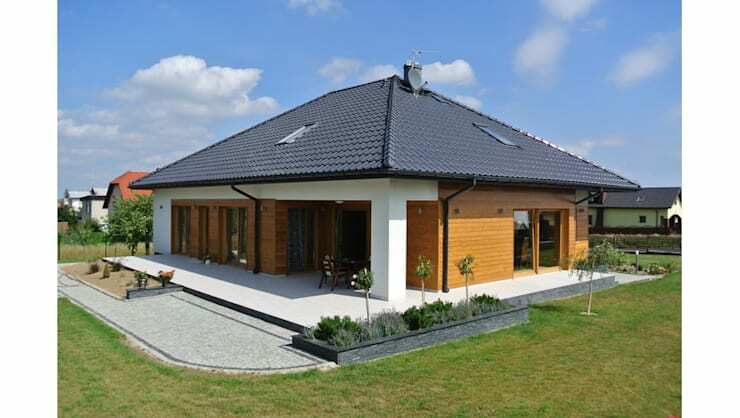 Prefabricated housing is a future trend that is not going away anytime soon. That's because it offers a very high level of product for a relatively low price. 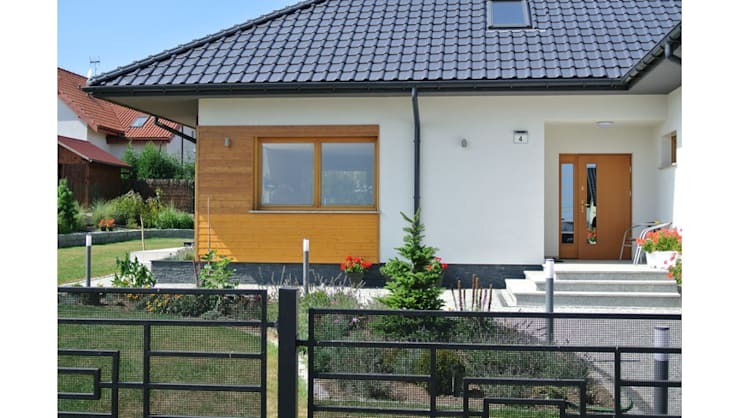 This particular home can also be created in a huge range of styles. Some options also include additional environmental benefits as well. For more prefab ideas, have a look at The one-storey home you've always wanted.